Tokunation › Godzilla › First Look- Legendary Pictures’ Godzilla: King Of The Monsters! 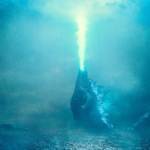 First Look- Legendary Pictures’ Godzilla: King Of The Monsters! 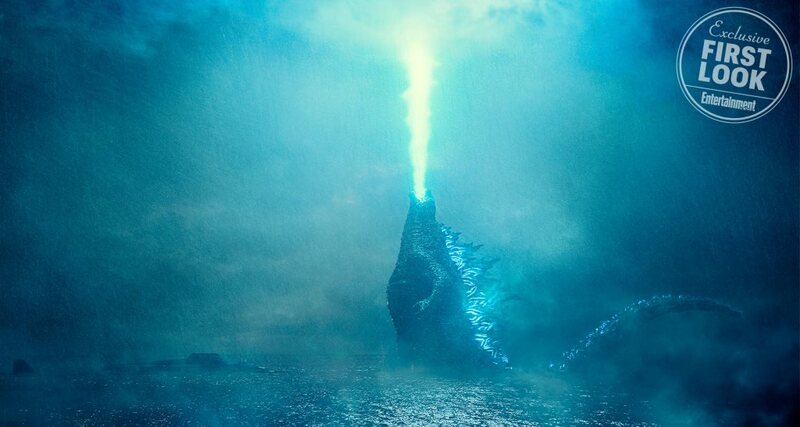 Entertainment Weekly has posted the first image for the upcoming 2019 Legendary Pictures film- Godzilla: King Of The Monsters! In addition, it seems Godzilla might not be the ONLY Kaiju in this story! Godzilla: King Of The Monsters is currently scheduled for release on May 31 2019! Stay tuned to TokuNation as we keep you up to date on the Legendary MonsterVerse! nice, thank you for posting it. He looks fatter than he did in the last movie. Well considering he took a deep breath to exhale in the sky, that would make sense. Though most of his atomic breath scenes in the first movie were at night, he did the same there. Deep breath in as fins power up, then glorious atomic breath. Since he is aiming straight up to the sky it looks like he ate something really spicy. So if this picture came with sound the sound would be "AHHHHHHHHHHHHHHHHHHHHHHHHHHHHHHHHHH!!!!!!!" Wow. That looks grate. I Can't wait for a trailer. May be will get somthing at comic con? yeah I'm hoping next weeks SDCC gives us a Trailer/Teaser and some new Neca Godzilla figures. Full Thread: First Look- Godzilla: King Of The Monsters!